Prom night are one of the event that every high school students were looking for, aside from valentines day during February the Prom are also celebrated during this month mostly in the Philippines but in other country it was celebrated on the months that nearing their school ends. Prom is the shortcut for a word promenade in which students are gather for a formal dance in a formal attire. It was usually called Junior Senior Prom or JS Prom the combination of a third year high and fourth year high school in one event. 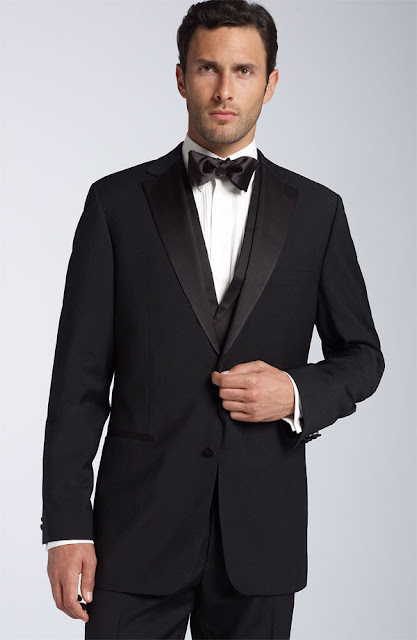 Boys attire are usually dress in black suit paired in a necktie or bow tie either rented on a shop that specialized formal wear or purchased in a boutique. Girls on the other hand wear gowns or cocktail dress either rented or purchased also. It doesn't matter if the dress were made out of designer's name or not as long as you can wear it confidently and comfortably. 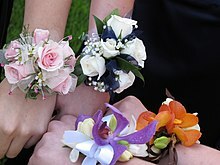 Traditionally the girls will wear a corsage to be given by their dates, and boys will wear a matching boutonniere given also by their dates. But in some place these are already given individually before their night and some schools don't practice to have a date but just need to attend the party as they are compulsory by some schools in the Philippines or part of their curriculum activities. Wasn't able to attend Prom during my high school days! Wow. I like the 2nd one so cute!!! I was able to attend js prom ng 4th yr Lang kasi Nung 3rd yr na-pinatubo kasi kami... Hehe.